Not unlike a complex molecule, a wonder is made up of tightly-knit atoms. At the core is man’s pursuit of wonder. The Wunderkammer reproduces the idea of “the world in a room”: in one room man collects and controls his own universe. The film features first-hand accounts from modern collectors who share their stories, their experiences, their journeys, their treasures. The viewer is taken into otherwise inaccessible places across France, Italy, Austria and England as the documentary explores the past and present, and delves into today’s Wunderkammer, leading inevitably to the question: What lies in the future for wonder? 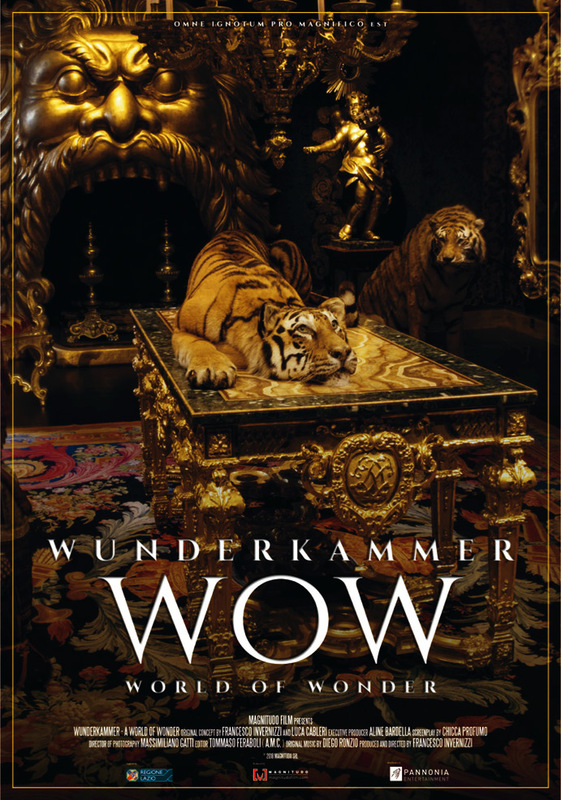 Available on DCP from March 2018, Pannonia Entertainment distributes art documentary Wunderkammer – WOW – World of Wonders to cinemas across Hungary, Czech Republic, Slovakia, Poland, Romania, Estonia, Lithuania, Latvia. Unique exhibitions and guided tours and spectacular documentaries on the big screen from great museums and marvellous places around the world – please click on the selected title to learn more. An extraordinary voyage of discovery to see the most impressive collection of works of art built up over two thousand years of history. VATICAN MUSEUMS 3D, a SKY production in collaboration with the Vatican Museums Directorate, for the very first time brings Ultra HD 4K/3D film cameras inside the Vatican Museums and the Sistine Chapel, to show the masterpieces in these collections as they have never been seen before. Pannonia Entertainment distributes to cinemas across Hungary, Bulgaria, Romania, Slovakia, Czech Republic, China and Baltics (Estonia, Lithuania, Latvia) and China.